InfoQ Homepage Articles What Does "Being Digital" Actually Mean? I’ve just finished interviewing someone for an architect’s role. One of my favourite questions I like asking is “What does being digital mean?”. It’s one of those oft-repeated phrases, “DIGITAL”, whose definition is expected to be understood but rarely, if ever articulated. Having asked this question multiple times in multiple contexts I can safely say there is certainly not one agreed definition. In fact, more often than not, the reaction is confusion or blind panic. It’s the sudden realisation that they have been working in a digital environment, citing digital transformation as their goal with no clear definition in their minds of what being digital is. They will start down the path of digital being the process of moving offline services online……but we’ve been doing that for 15–20 years already. I feel a little bad in getting people to answer the question. I think if I had been asked that question without having sat down and thought about it, I may well have suffered the same panic. And sometimes, not being able to articulate what being digital means does not necessarily follow that the individual doesn’t instinctively know it. I’m certainly willing to put my reputation on the line and say most of my colleagues, past and present, fall under that banner. They can’t define it, but deliver it. But understanding digital, being able to define what it is and what it isn’t, should not be taken lightly. It’s important to be able to explain it to your stakeholders…your Chairman, CEO and CTO, to your analysts, developers, architects and others. It’s important to be able to define success. By providing a definition of being digital, by understanding it we can hopefully all set off in the right direction. So, what do I classify as Being Digital? And how does an organisation become digital and gain the benefit from it. By the way, the interviewee answered it very well. That last bullet is interesting, right? Organisations, big and small, have been using “computer technology” for decades now. If that is what is meant by digital, then why are organisations spending so much time and effort in digital transformation now. As with most things, the dictionary just isn’t enough to explain. Being Digital is the re-imagining of business processes to be by default a fully online, fully automated process from end user interaction to back office processing, with no need for human intervention. This really should be the first question any organisation should ask. The path to being digital is not free…investment is needed and therefore the benefits of being digital needs to be understood by those putting in the investment. If you don’t become digital, your business will die. And if you don’t take being digital seriously, your competitors will and they will do it better…and your business will die. Ever heard of Blockbusters? Customer First Culture— who is your customer? They are the users of your digital services. Why customer and not user then? We have a history, a mindset and understanding that the “Customer is always right”. If we treat our users, whether they are paying or not, as customers, then our focus will be on doing everything to bring them in, retain them and please them. To be digital, the culture within the organisation must be that you deliver customer needs; features that are beneficial to the customer or quick turnaround or low cost. Whatever it is, the customer must be first. Instant Feedback — in a digital world, customers should expect instant feedback to their requests. A customer should not have to wait minutes, hours or days to know that their request has been successful or not. When discussing response times, these should be measured in the milliseconds. Real-time — a digital system should expect to receive requests 24 hours a day, every day. It should be available on demand. And the data it uses/returns should be the latest. Eventual consistency is a valid architectural approach, but this should be measured by network and automated processing latency and not business process latency. Automated — this sounds obvious, but a digital service should include as much computer processing as possible (ideally 100%), without the need for manual intervention. Intelligent — your digital services should do all the heavy lifting, minimising the effort and understanding required by your customer or other machines. By intelligence we mean our service should be able to handle the rawest bit of information from the customer and calculate, amalgamate, massage and convert it without the user ever needing to be aware. By intelligence, we mean our service should be able to anticipate our customer’s next steps and prepare and suggest. Online — a digital system should be accessible anywhere with an internet connection, with no limitation on device and usage. Beautiful — beautiful UIs and beautifully constructed APIs. These are the hallmarks of a service for the digital age. To a degree, beauty is in the eye of the beholder, but it should mean easy to use, intuitive and meeting customer needs. It means bringing what is most important to the customer to the forefront. Driver for change — a digital service defines the business processes, and is not defined by them. Digital means business processes changing to fit with the computing world and not the other way around. We shouldn’t mimic offline processes in an online way. Regular Improvements – how often do you think AWS releases? I did a quick count between 21/11/2016 and 5/12/2016, a 2 week period. 28 releases! And that is AWS, probably the largest digital platform in the universe. Customers are largely not tech savvy. They don’t get how difficult it is to make software improvements…and nor should they care. They just want those improvements. A digital platform should be improving itself as often as necessary. Batch — in the digital age, we should not be relying on offline feeds and scheduled processing. Machine to machine communication should be via APIs and should be pushed as soon as information is available. This ensures information is always up-to-date and the latest. Manual — digital processes must not include manual intervention or processing as it’s default position. Any offline intervention should be seen as exceptions for those that cannot use digital services, or where machine learning/processing is not yet mature enough for certain cases; think fraud detection needing a human eye for investigation. Tech Refresh — technology does not make you digital. Being in the cloud is not digital. Having a microservices architecture is not digital. Having NoSQL is not digital. If you see an organisation espousing its digital transformation programme by highlighting its technology achievements, then you can probably surmise that they’re not doing digital transformation right. The Cloud — as I finish the last section by making it clear that technology is not digital, I’ll start this one (and will continue to do so) by highlighting why a technology choice can be used to help you achieve being digital. The Cloud, as it’s affectionately known, will help in achieving the scalability, and therefore performance and volume, required in a digital service. It brings with it complexity of a distributed system, but done well and it will move you in the right direction. Continuous Integration/Continuous Delivery — CI/CD has possibly been the biggest gain in software development since I started my coding career way back in 1999. Back then, teams and team members would code independently, merge rarely and suffer from bulky, multi day merge efforts just before going live. At which point, they find the code doesn’t integrate and work together. (Actually, my very first project as a developer the team didn’t even use a VCS, but that is a story for another time). CI/CD, with it’s regular (at least once a day) commits and minor (if at all) merges, aids in quality code being produced, quickly and safely. Allowing teams more time to concentrate on producing those digital features customers demand. Agile — as a set of methodologies, it may not be perfect. As a set of principles, it aligns with a digital mindset and allows for customer need-based, regular deliveries. A digital programme that does not have Agile at its core will struggle to deliver the transformation needed. If Agile methodology is not possible, at the very least Agile principles need to be at the forefront of everything you do. People, not resources. Just in time design. Evolutionary architecture. Those are principles that apply no matter the methodology. User Research — I am a recent convert to this. But I have seen it first hand and have worked with some immensely talented and skillful individuals, who have shown that when done right, it is the central part of a digital service. More than the code, more than the architecture, more than the methodology, user research will guide you to digital nirvana. Why? Because by making it easier for the “user” it will make it more usable and therefore more used…and therefore more successful. Oh, and I use the term “User Research” rather than “Customer Research” because that’s the industry term. Simple Design – as an architect, one of the things I advocate regularly is that we keep our designs simple. Don’t over complicate where it’s not needed. Don’t try to solve a problem that may never manifest itself. There are many articles out there that explain why, but from a digital perspective, a simple design allows everyone to concentrate on the matter at hand – which is to improve the customer experience. Complex design means more maintenance, more things that can go wrong and more time spent keeping your service running than improving the digital experience. An organisation’s journey to a digital universe is fraught with challenges and hard work and probably no small amount of contention. During that journey, you will almost certainly be confronted by those that throw doubt at its benefit. In fact, you may start doubting it yourself. The hardest part is the mindset shift from non-digital to digital. Any strong organisation is one that has a strong core of people that have stayed with them for many years. One that understand the business, that are loyal to the business. It is those people that create the culture and mindset of the organisation. And it is they that will have the toughest time in changing. It is they that will need to be convinced that your customers are not your internal “business” but those people that use your services. They will need to get used to releases on a weekly, or even daily basis. It’s them who will need to understand that business processes were created for a world of mainframe computers, not internet or smartphones. A world that serviced all queries through agents and not devices. And this isn’t because they don’t have the intelligence or ability. It’s because a successful organisation that is looking to become digital is just that – an organisation that has had success doing it a particular way – so they will ask, why change? There are also technical challenges also. Running a distributed system, as you would in a cloud-based microservices RestFul architecture, has many advantages, of course. But you must overcome latency issues, data consistency issues, statelessness and downstream service failures. Your organisation will almost invariably be backed by legacy systems that were not built for high volume, low latency transactions. Does your digital strategy involve replacing them? If so, how do you switch over or migrate data from old to new (think the Strangler pattern). But that is very expensive – so if not, how do you work with the legacy platforms to fit your digital vision? In this case, maybe your digital platform does the bulk of the real time, low latency work and you use the legacy systems as your systems of record. When looking to invest in digital transformation, a CEO or CIO or some other CXO will need to grasp that its success will come down to its people. Having Product Owners who place customers at the heart of everything they do and who will think outside of the box. And technical and software architects who understand the importance of dogma, but understand more that the dogma is driven by business and customer goals and not the other way around. And developers who consider quality code as not a burden but a freedom to create and innovate. That appreciate TDD is freedom from bug fixing and support. And business analysts who are capable of interpreting requirements into digital processes and not a regurgitation of offline processes. Being Digital is not easy, but with the right people and patience, all that investment in time and effort is very worthwhile. 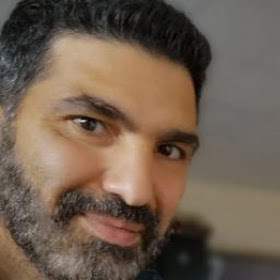 Reda Hmeid is a freelance technical architect and digital consultant, working in the digital space since 1999 when coding on the fledgling ba.com platform. Having started coding with the venerable Java 1.4, Reda has a lot of affection for the Java programming language, but these days with keen interest in Scala and NodeJS in particular, amongst other tech. Currently, Reda is in the role Head of Solutions at HMRC Digital, one of the largest digital programmes in the UK. Reda has previously worked for British Airways and IBM, and clients such as Deutsche Bank. It is a silly term made up by marketing, especially in the CMS world that ignores most of what many of use have been doing for years. I wouldn't disagree with it being a term that's been made up for marketing purposes. Our industry is full of that. However, CEOs, CIOs, CTOs etc... will use the term to define their business goal. HMRC wishes to become the most digitally advanced tax authority in the world. Therefore, if we can provide a definition and aspiration of a digital platform, we can give meaning and direction to a digital delivery and minimise confusion. With regards your point about ignoring what many of us have been doing for many years, I think I address that exact point in the article. I guess the point here is that Being Digital has an evolving definition and that what was digital in 1999 isn't and shouldn't be what digital is today. And, if I was to write the same article in 5 years time, it will be different again. Hi Indrit. Not totally sure what point you are trying to make here, I'm afraid. But if I assume that you mean digital is just another buzzword, I get it. However, our industry is a virtual cornucopia of buzzwords. By understanding the meaning behind those buzzwords we provide them with some substance that can move us on from the marketing spiel to benefiting the organisations we work for. You use Agile as an example. And it's true that people talk about sprints and standups and believe they are doing Agile. This despite the fact that they may not prioritise satisfying the customer or understand that simplicity is essential. The talking vs doing point is interesting. I believe knowledge is in three parts. Learn something, practice it and then spread that knowledge. So I would argue talking and doing complete each other.